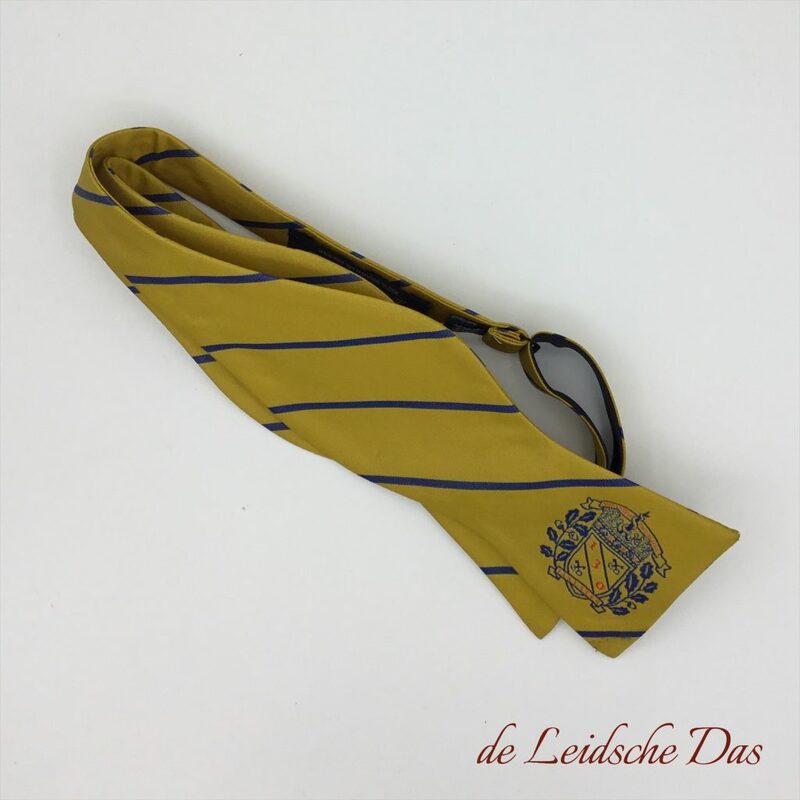 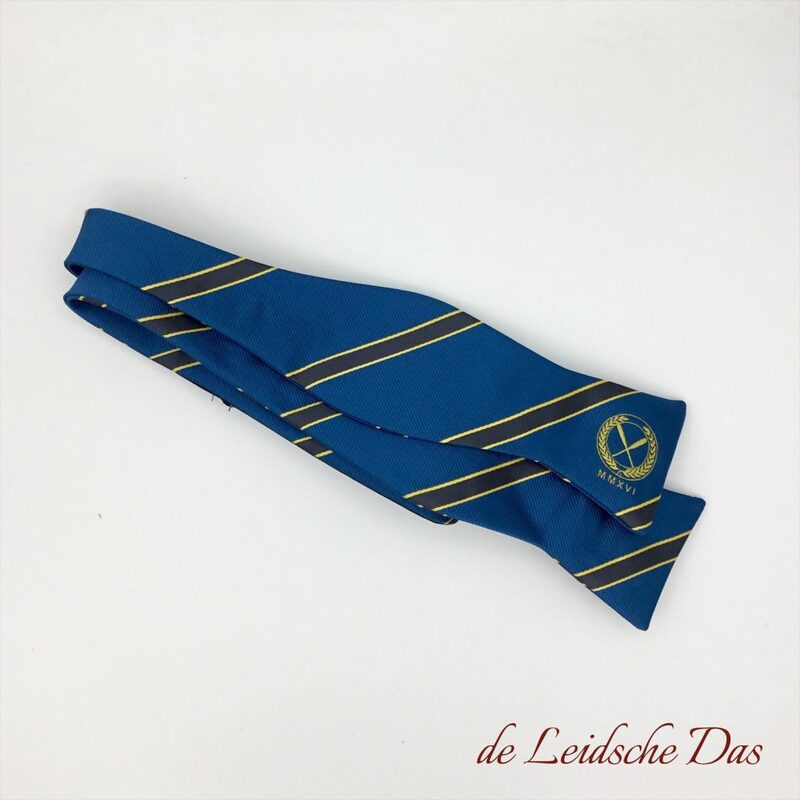 Custom self tie bow ties made by the Leidsche Das. Self tie bow ties handmade and custom woven into your design. 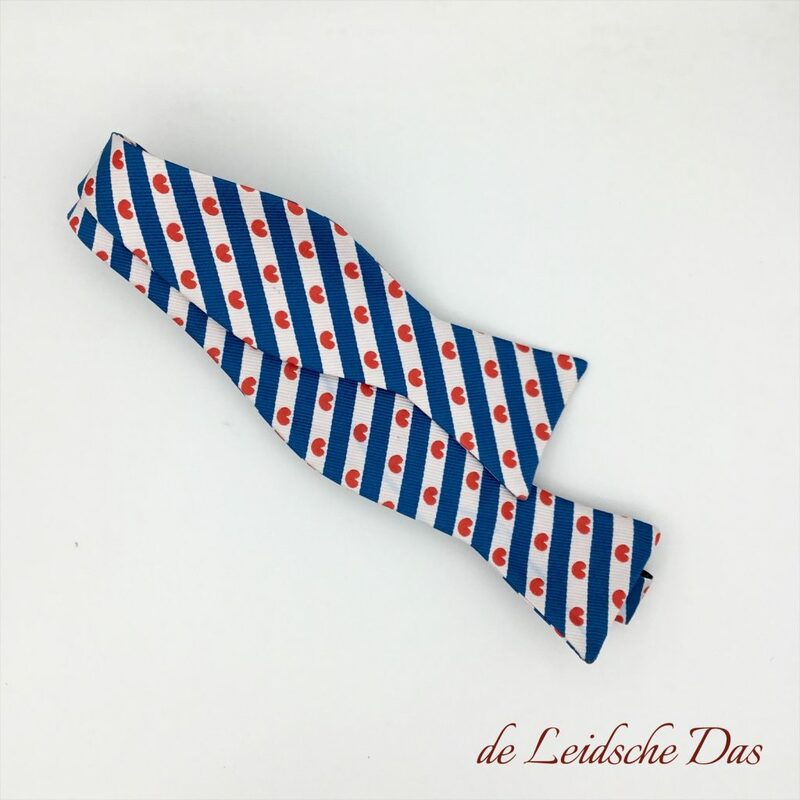 You can have your bow ties made in microfiber and in 100% silk with a minimum order quantity for microfiber of 50 pieces and for silk 35 pieces. It is best to contact our design department. Our designers can then judge whether the design you have made is suitable for our weaving process. Do you want to have a design made? 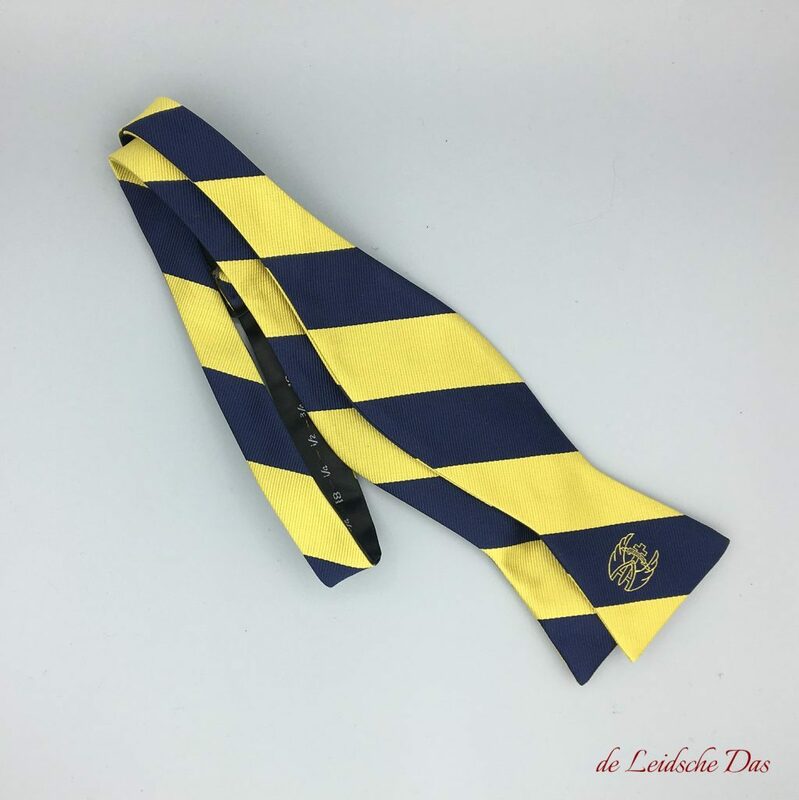 You can have the design of your bow ties made for free and without any further obligations. 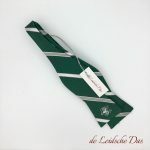 Share your wishes and your own ideas with our designers so they can make a first design for you. 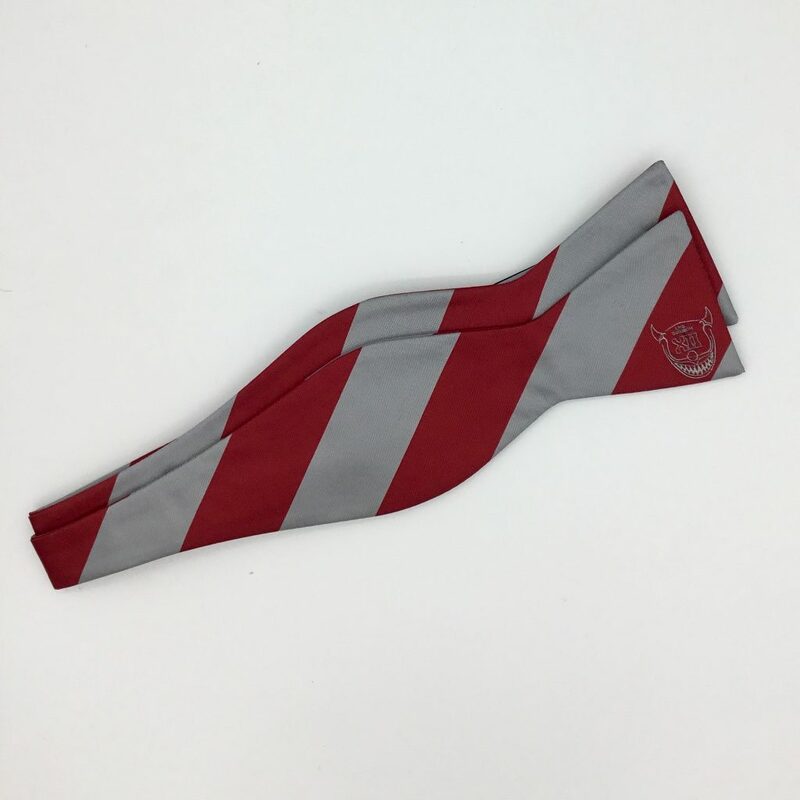 Contact our Free Bow Tie Design Service. 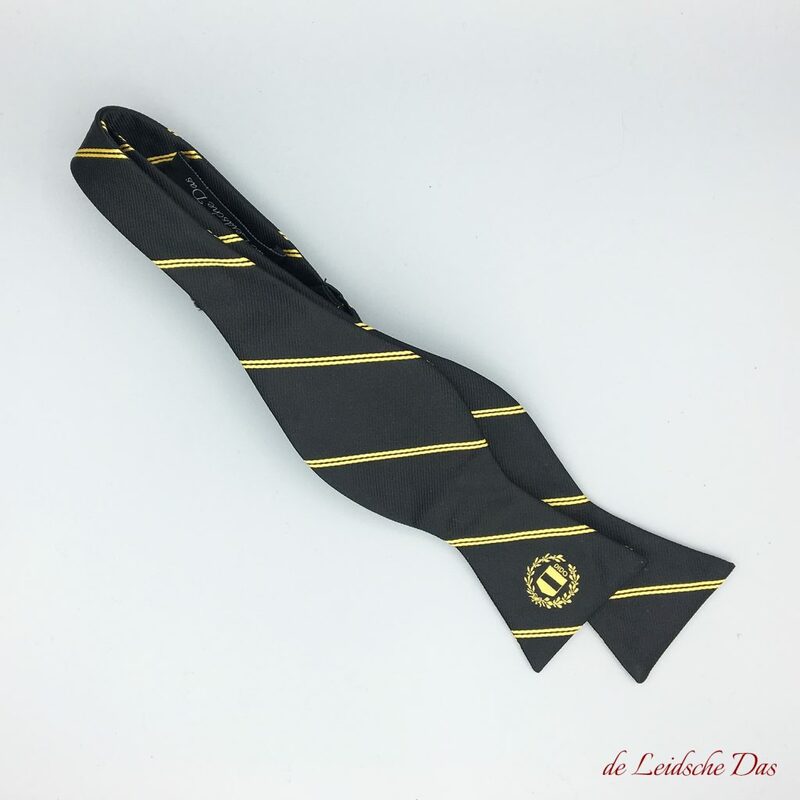 Time we need to manufacture your custom made self tie bow ties. 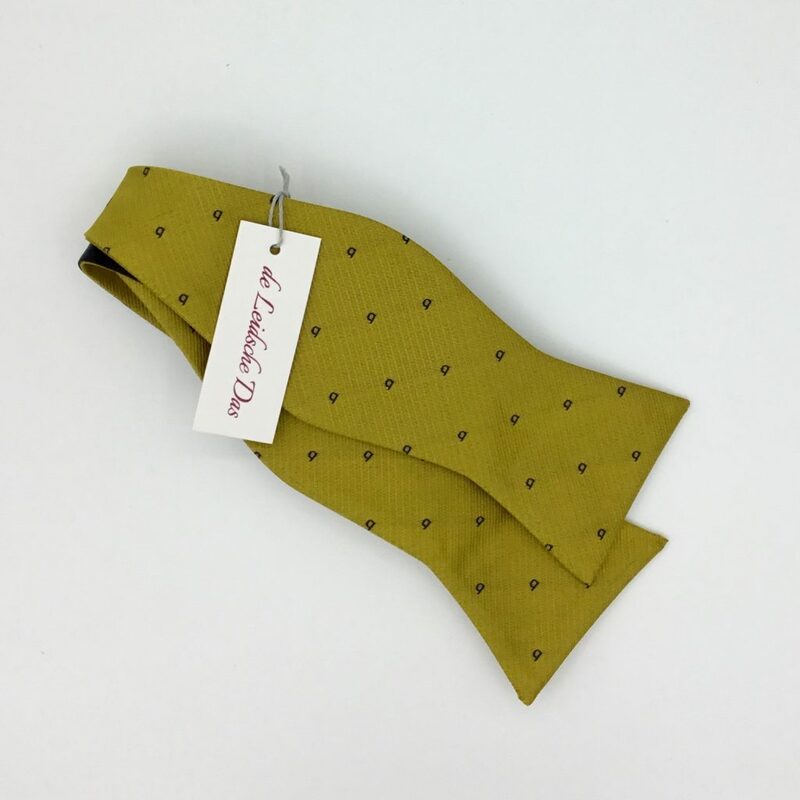 Our pricing for bow ties made in microfiber and silk. We are a Dutch company located in the historic city of Leiden in the Netherlands and we design and manufacture high quality woven custom made neckties and bow ties in silk and microfiber for companies, army, schools, colleges, universities, organizations, (sports)clubs, fraternities, societies, governments and political parties.